Baby Monitors Direct is giving you an extra 5% off selected lines on top of previous sale reductions throughout the month of May. Just use offer code BMD5OFFMAY at the checkout. 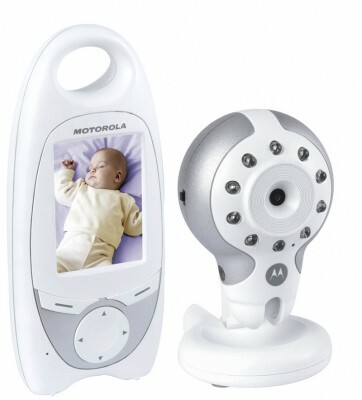 The Motorola MBP30 is £54.99 (reduced from £99.99) with useful features including Talk-Back allowing parents to comfort baby from another room, VOX Voice Activation with adjustable sensitivity, rechargeable parent unit, adjustable brightness, Night Vision with on/off facility. The baby unit can be wall mounted and has full 360° rotation and 180° angle for convenience. The 2.4 inch colour screen is perfectly adequate for most monitoring purposes and the parent unit comes with a handy belt clip. 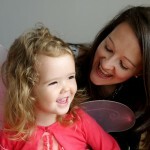 I first wrote about Bibetta Bibs when Imogen was almost 12 months old and weaning was in full swing. Fast forward a year and I have a toddler who can eat soup without any spills. But there are still occasions when a bib is one of the best inventions known to parents, especially when it’s a Bibetta Ultrabib. We’ve had Imogen’s Bibetta Ultrabib for over a year and it’s in incredible shape. You wouldn’t know its age and that it’s been washed in the washing machine approximately 156 times (it comes out stain free every time). Not bad for an investment of around £5. 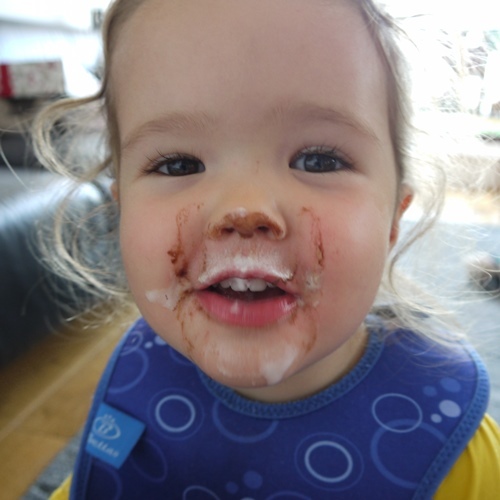 Imogen eating an ice cream and wearing her Bibetta Ultrabib. 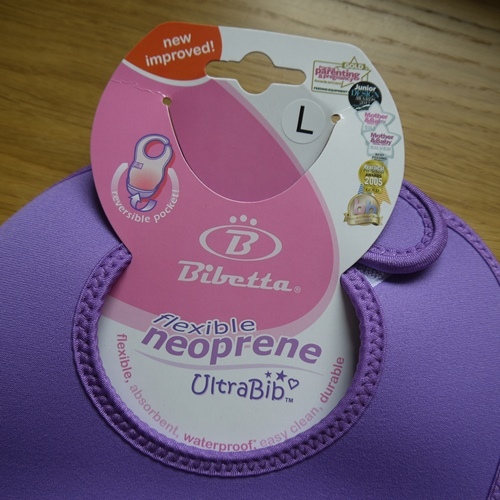 Last week I bought a new Bibetta Ultrabib for when Imogen’s original bib is in the wash. Bibetta Bibs have won many awards. 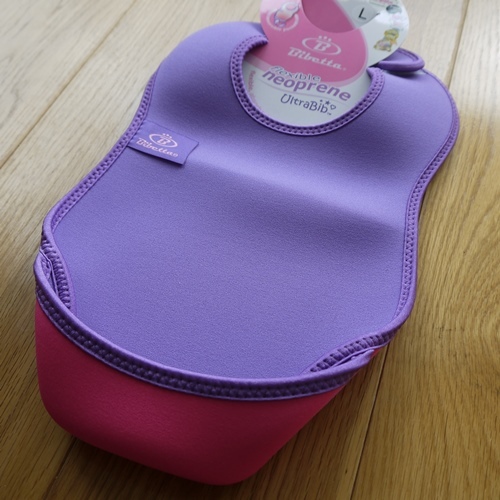 You can buy them in a selection of colours and sizes (plus choose an Ultrabib with or without sleeves) from Kiddicare. 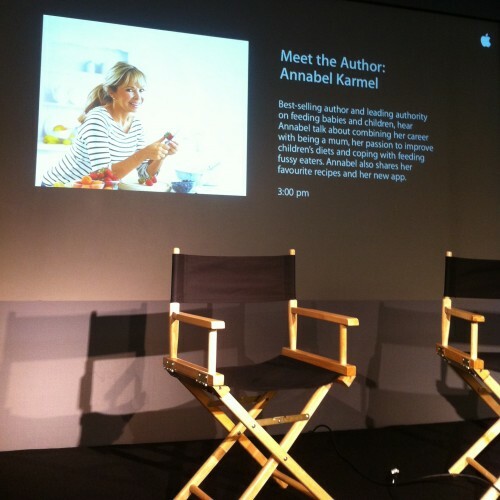 Last Saturday I was invited to attend the launch of Annabel Karmel’s new App Annabel’s Essential Guide to Feeding Your Baby & Toddler at the Apple iStore in Regent Street. The event was hosted by TV and radio presenter Jenni Falconer. Annabel talked about being a mother, coping with fussy eaters and how she began writing recipe books. Her career takes her all over the world as she continues to educate and encourage millions of parents on how to create simple and healthy meals for baby, toddler and child. 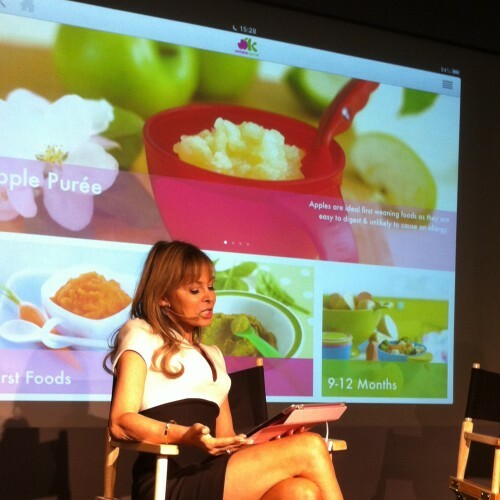 Annabel gave a demo of her new App which includes 200 healthy recipe ideas, handy meal planners that you can personalise to suit your family, a shopping list feature and videos showing how to prepare food. This App ensures you’ll never be stuck for ideas at mealtimes. There’s a handy section on Tips and Advice covering everything from foods for babies and toddlers to allergies and batch cooking. Since Imogen was a baby I’ve read the range of Annabel Karmel Books and found them helpful as easy reference guides to weaning and now for generating toddler meal ideas. I met a wonderful group of bloggers at this event and after the launch we all sauntered in the London sun to 5th View in Piccadilly to have afternoon tea with Annabel Karmel and her lovely team.